It’s that time of the year again, when adults tell children that reindeer are mythical animals, but that Santa is real. Back in the day, other kids delighted in telling me that I wouldn’t get a visit from Santa because I’m a Jew. I delighted in telling them that they wouldn’t either because he’s imaginary, how do you still believe in him you’re 7? It did not go over well. Can you blame me? My fellow seven year olds were spouting lies to my face. And believing in Santa for too long makes you look dumb– I was being helpful. In retrospect, it wasn’t those kids’ fault. It was their parents’. I know what you’re saying: lying to children can be fun, and hilarious. They are so easily confused by the world. Friends, I agree. Just the other day I told a toddler that I would give him a piece of candy, and instead I punched him on the nose. And we had a great laugh about it. But proliferating belief in Santa is not funny. It’s kind of bizarre. These adults want kids to believe in Santa long past the age when they can distinguish fantasy from reality. And it’s not just parents. Even if you never stepped foot in a Church, the odds are pretty high that, as a child, someone told you that Santa is real. Remember last year, when Fox’s Megyn Kelly made news by vigorously asserting that Santa (and Jesus) were white? She said, on live air, “For all you kids watching at home Santa just is white…Santa is what he is.” Maybe if Megyn’s parents had admitted to the young tot a little bit earlier that Santa is not real, maybe if they had tried less hard to keep up the charade (putting out milk & cookies, painting tiny reindeer footprints on the roof, etc.) and been a little bit less racist (but that’s a whole other story), maybe then poor Megyn would not feel so personally assaulted at the idea of a black Santa. But maybe it’s also because Santa is kind of like a fun mascot for Christianity. Originally intended to tell kids to drink Coke, Santa has now become an unofficial spokesperson for Jesus. Santa is omniscient, rewards good behavior, punishes bad, and asks for unquestioning belief, despite being totally invisible and unprovable. As a rational person, I find all of this fanaticism strange. 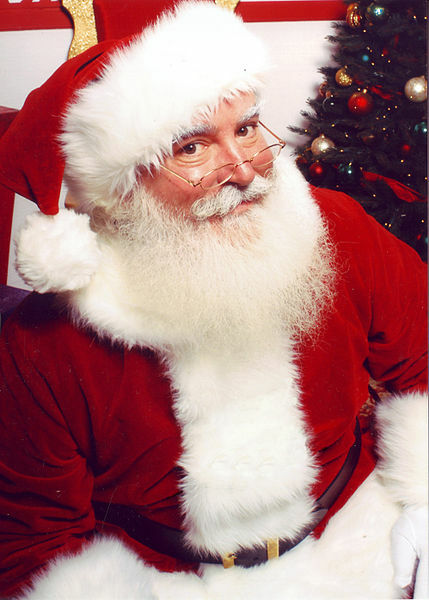 Imagine if we tried to tell children that other fictional characters, besides Santa, were real. One girl I remember addressed her first letter to the staff writers. Then, after I responded as Ronnie, she was so excited. She replied, “I can’t believe you actually wrote back to my letter! My seventh birthday is coming up, and it would mean so much to me if you would visit.” Of course, that girl would never get a visit from Ronnie, because he was too busy being a nonexistent hedgehog. She enclosed a picture of herself, so that I could look at the face I was disappointing. I showed the staff her letter and begged them to let me write her that Ronnie was just a character, the note a farce designed to be “cute,” but they shrugged and told me (cruelly) to write her again that I was very busy fighting my nemesis, Dr. Robot Man, but wished her a very happy birthday despite being unable to visit personally. That poor girl, I lay awake at night sometimes thinking about her. I hope that she didn’t (but I know that she did, she must have) brag to her class about the birthday card she received from a rockin’ purple hedgehog that fought crime. If she did, or when she did, I hope that her classmates were merciful. I hope they didn’t roll their eyes at her utter belief, in a way that they never would if she was seven and believed in Santa. Because Santa is real and to believe that he is real is virtuous like all of the movies, news hosts, and TV specials tell you. “No, Virginia, crime-fighting hedgehogs aren’t real. But the world is good and beautiful anyway. Maybe some people in this world will lie to you. Those lies can be good and beautiful too. The world would be all the better if every man and child could imagine, for a second, that Ronnie and Dr. Robot Man are forever sparring, immortal. So let’s all close our eyes and make believe that your letter was real.